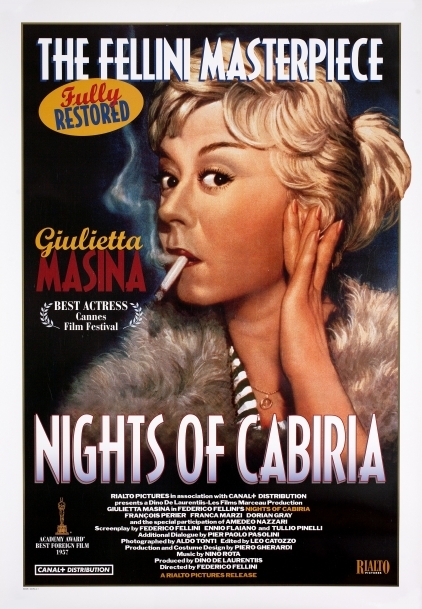 Tough Roman streetwalker "Cabiria" (Giulietta Masina) is hypnotized at a cheap variety show by a magician and the innocent dreams of adolescence pour out in a series of episodes. "IMPECCABLY RESTORED! One cannot describe the emotions that flicker across Masina's face!"